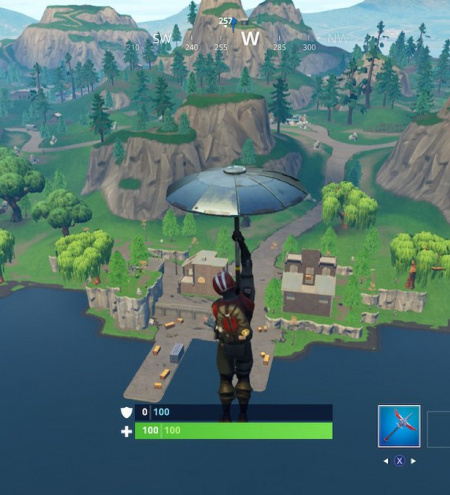 Dancing with others to raise the disco ball near Loot Lake is one of the Battle Pass challenges in week five, season four of Fortnite. Complete it and you'll earn five Battle Stars that will help boost you up the tiers for those sweet season four exclusive rewards. In this guide, we're going to help you figure out how to complete this curious challenge, and also help you find the exact location you need to go to. This challenge sounds more complicated than it actually is. Basically, in a building on the west side of Loot Lake, there's a disco ball surrounded by four different platforms. You and three other players have to stand on a platform each and dance to send energy to the disco ball. When enough energy has been generated, the disco ball will raise to the ceiling and the challenge will be complete. 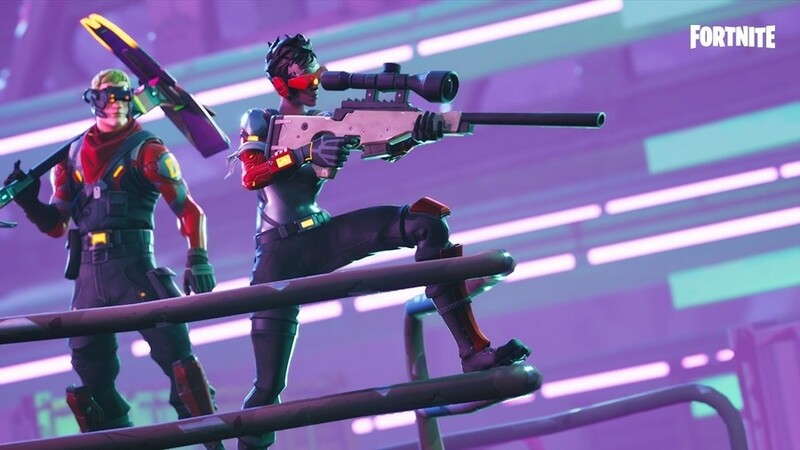 The other players don't have to be in your squad, though we'd recommend that as the easiest way to complete the challenge. If you're brave enough, you can do it with strangers and just hope they won't try and kill you. While you don't have to dance on one of the platforms – any emote will do – we do recommend that you do dance. 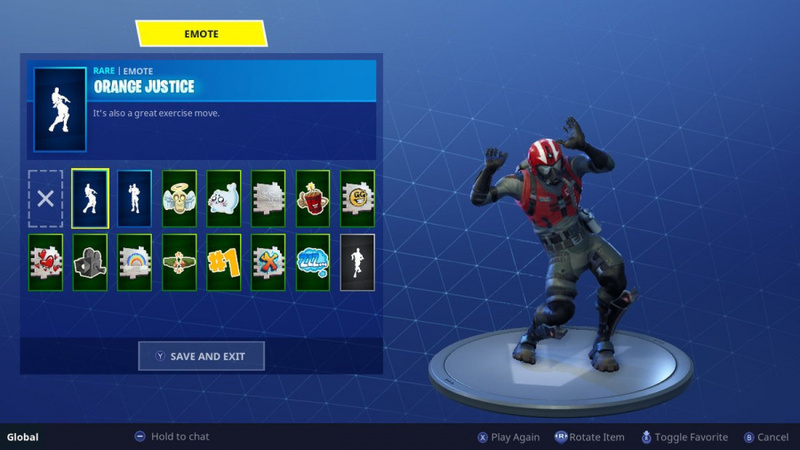 That's because the animation constantly plays, and you'll have to spam another emote otherwise. If all four of you do this in synch, the disco ball should raise no problem and you'll complete the challenge. You do have to go on to finish the match though, by winning or dying. Quitting out will cause it to fail. 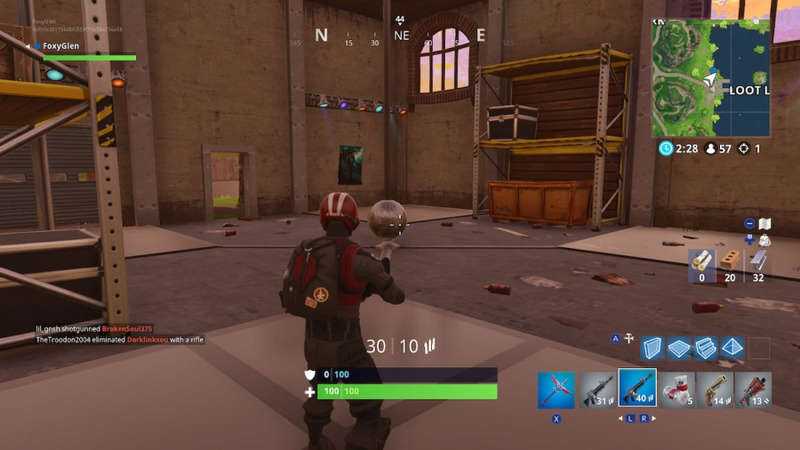 The disco ball is inside a warehouse on the western edge of Loot lake. 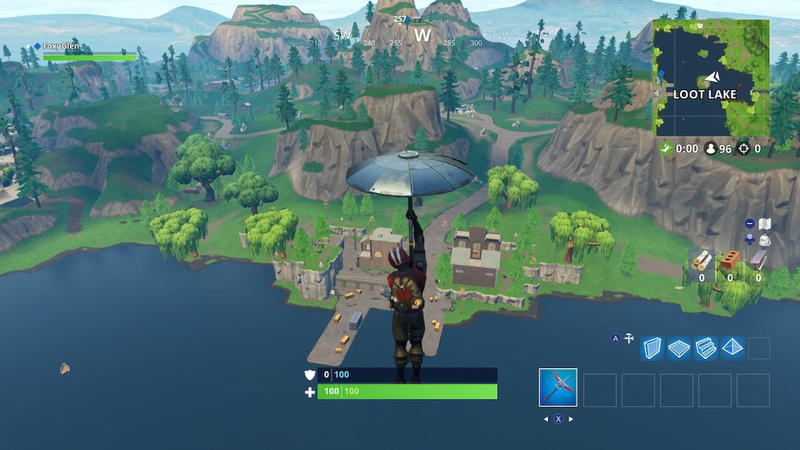 For reference, if you look at the map of Fortnite, you'll see two piers on the western edge of Loot Lake. The building you need o find is on the topmost pier. Of course, you can also just look at our map above for the exact location. We've also included screenshots below to help you narrow it down. 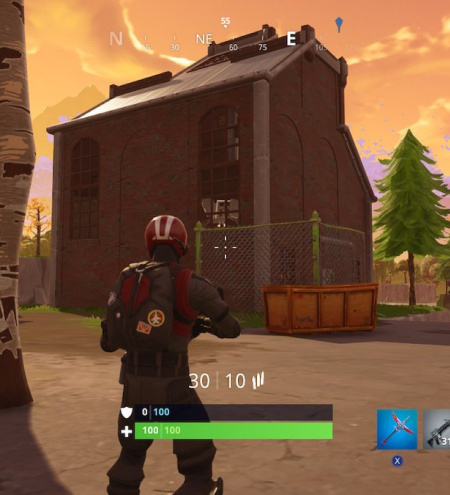 If you're arriving from the air, it's the building on the right side of our character. The image on the right reveals what it looks like from the ground. 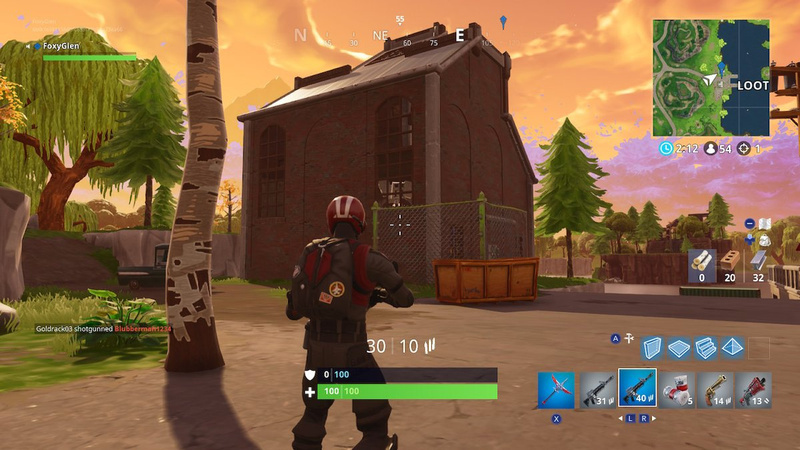 Once inside, you'll find the disco ball and four metal platforms. You and three friends have to dance on one each to complete this challenge. Yes, we've come to the point where NL has become like every similar site out there where you'll be seeing multiple articles about Fortnite on a daily basis. That's the nature of popular multiplayer games and their coverage on gaming sites. You either like it and read them or don't and ignore them. Either way deal with it and move on. @Syndrome Absolutely. It's getting tired now, the game's been out less than a week and yet people have seen fit to complain of this site's coverage since day one. These guides aren't even on the main news page, so I really don't see what the problem is. It's not like the Switch is deluged by games this popular worthy of guides at the minute. 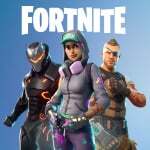 Speaking as a Fortnite novice with a lot to catch up on, these pages been an invaluable resource of late and I'm sure the same is true for countless others. I thought Fortnite was a shooter but looking at these guides I guess dancing is a core mechanic? What is this game even. I am enjoying this and Paladins...could we have some Paladins articles too? ?